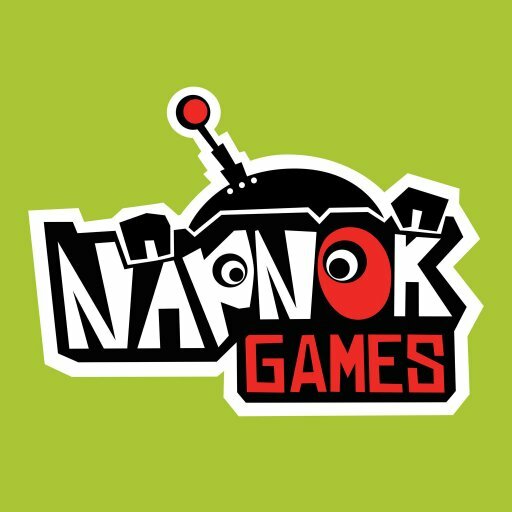 NapNok Games is a nine year old, still growing and multi award-winning independent game studio located in the heart of Copenhagen, Denmark. Our mission is to create groundbreaking local/ social multiplayer games driven by novel interfaces and new technologies. We believe in exploring new technologies to discover unique design spaces, not just reproduce old habits. We believe in creating games that leak out and becomes part of the player’s reality, not just games you get sucked into forgetting time and space. And we believe these principles are too important only to reach the niche. We want to take part in shaping the future of play for everyone. Chimparty is a hilarious party game for up to four players with pick-up-and-play one button mini games, easily controlled through a smartphone. Play as one of four mischievous chimps, doing what chimps do best, monkeying around! Frantics is a PlayLink party-game where you and up to three friends face off in a variety of arcade-style mini-games hosted by a scheming, manipulative and… charmingly unfair Fox. An absolutely great party game that gives a shining glimpse of what can be done with the Wii U. The entire game is dedicated to immersing gamers into the universe the developers have created, and it works brilliantly. Affordable Space Adventures is a unique and charming package.